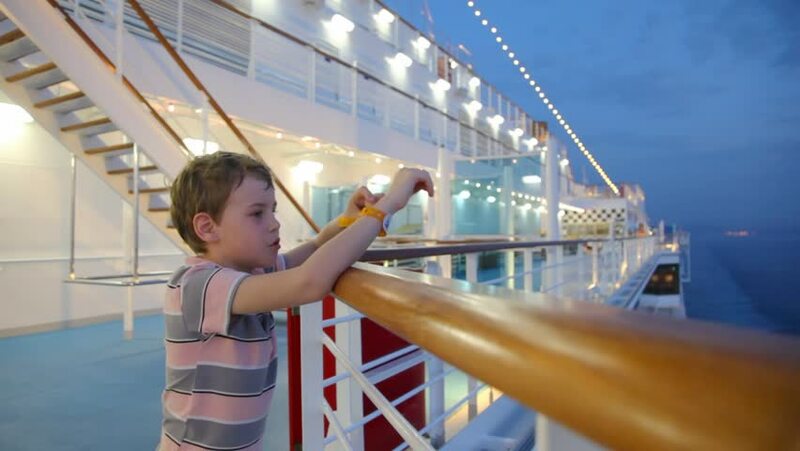 boy stands on deck of cruise ship at night. 4k00:28GREECE - SEPT 2014: Mediterranean cruise ship deck walking. Off the coast of Italy and Greece. Vacation and exploration destinations in southern Europe.